In 1980 I bought my first Fairlight (the very first sampler made) and was soon happily creating 1000’s of samples. Then a few years later Akai developed their incredibly cheap, compared to the Fairlight, range of samplers. 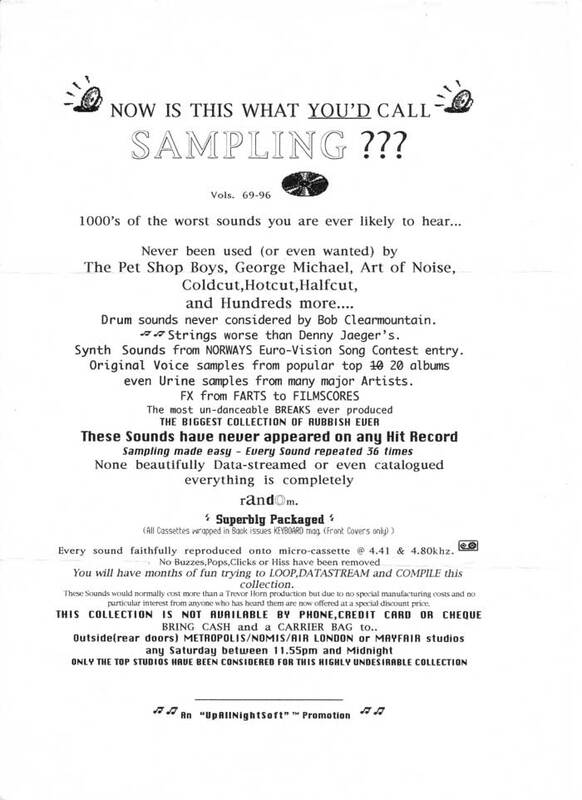 This prompted an incredible amount of people and companies trying to sell their own samples every music magazine was smothered with their ad’s each professing to be better than the rest so I created my own range. You can see my ad at the bottom of my “instruments” page. 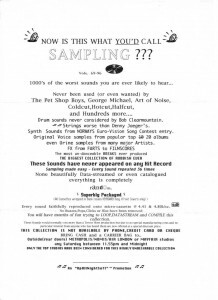 Did you buy these samples? Just returned from a fabulous weekend in London. 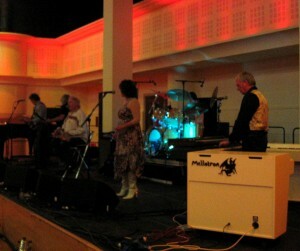 It was the Strawbs 40th reunion concerts in Twickenham. Over 2 days we had fantastic lineups which included myself, Dave Cousins, Rick Wakeman, Jo Partridge, Andy Richards, Oliver Wakeman, Rod Coombes, Brian Willoughby, Cathryn Craig, Sonja Kristina, Tony Fernadez, Ian Cutler, Melvin Duffy, Dave Lambert, Chas Cronk, Roy Hill, Robert Kirby + orchestra and compered hilariously by Fred Wedlock. Sadly Robert Kirby died a few weeks after this concert. 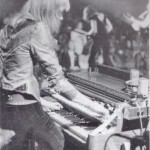 After organist Verden Allen departed Mott the Hoople in 1973, Morgan Fisher was drafted in as a sideman, soon to become a full member, playing organ, piano and synthesizer on The Hoople and Mott the Hoople Live albums. 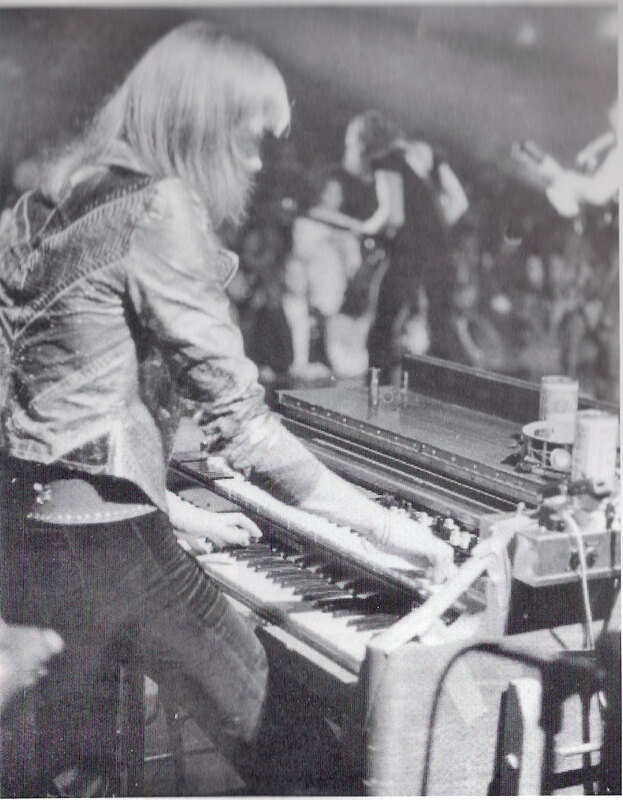 Also playing organ onstage with the band was Mick Bolton (later with Dexy’s Midnight Runners) followed by Blue Weaver (from Amen Corner, The Strawbs, and later with The Bee Gees). * MOTT IN AMERICA – A first time showing of the full 40-minute 8mm film shot by Morgan Fisher on Mott the Hoople’s 1974 US tour, with a soundtrack recently created by Morgan. * PERFORMANCES by all three members – and at least one surprise guest! * Signed numbered limited-edition DVD’s of the tour film and personal photos of Mott the Hoople on tour by Morgan Fisher will be on sale. This was a great success and many thanks to all that attended…. Just looking through biog’s of Mott and I do get a bit ‘pissed off’ when I’m not even mentioned playing with them even if I wasn’t a so-called full member and only guesting, sadly this happens to a lot of musicians during their lifetime. I did, however, participate in a very succesful and important part of their carreer and later on the Hunter Ronson tour where I played all keyboards. Anyway that’s life and there is now video evidence (and a handful of photo’s) that I was there as well as the thousands of people that saw the amazing shows in the US and especially Broadway just ask Brian May what it was like. Wara’ bloke is what Ariel always used to say about Morgan usually with the knuckle of his first finger between his teeth. In 1982 I got a call from Tony Visconti to go to his Middle Earth studios to do some Fairlight programming. When I got there I was really suprised to find out it was for an album with Linda. She had just published ‘Photographs’ and proceeded to give me a signed copy. 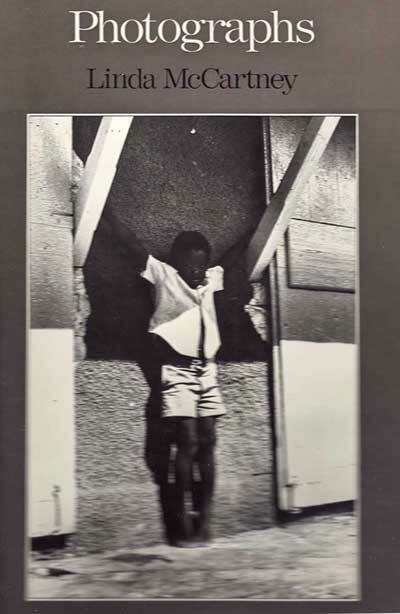 To this day one of my prized posessesions. 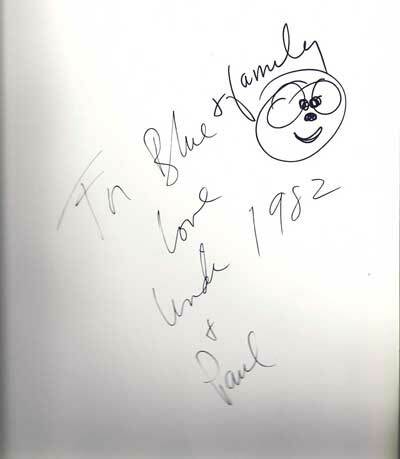 Unfortunately it was at the same time Paul was making ‘Give My Regards To Broadway’ and came in one day and told Linda he needed her to be on-set with him, so that was the end of that project but I believe ‘Wide Prairie’ has some of those tracks on. It was so long ago I can’t really remember which ones. I first met Linda when I was doing a session at Air Studios Oxford Circus London, during a break I went to get a drink, the drinks machine was next to the entrance to Studio A, I could hear music comming from inside and went closer to the door just at that moment Paul opened the door I was leaning against and I fell in at his feet. 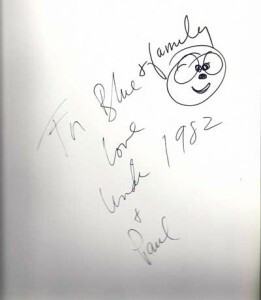 Tony Visconti was sat at the desk and said ‘My God Blue what are you doing?’ Paul said, do you know this guy? and Tony explained who I was. I was invited in and Paul and Linda told Geoff Emerick, the engineer, to wind the tape back, I was then treated to a private listening of ‘Band On The Run’ the ochestrations had just been recorded then I was present when Howie Casey created that wonderful sax on ‘Bluebird’ . Needless to say I completely forgot I was supposed to be playing piano on a session in Studio B. WhenI returned no-one believed my excuse but I didn’t really care I’d had the experience of a lifetime.